It’s retro chic, sophisticated and stylish. It even has its own private island. It’s hard to stack up the accolades for Couples Tower Isle, which is frequently on “best of the Caribbean” lists and has been recognized by Travel + Leisure as the Best Caribbean Hotel Spa. It’s pretty hard to beat the R&R opportunities — especially when they are all included — that await guests in this sultry destination. 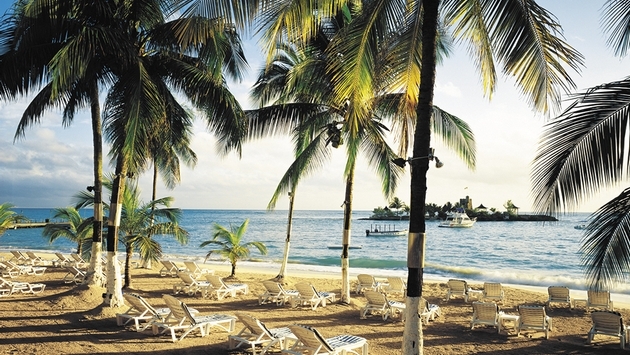 Located in Ocho Rios Jamaica, Couples Tower Isle invites twosomes to fall in love with a legend. At its core, the property has a flair for elegance and sophistication and offers a playground for romance. Its vintage-inspired mid-century architecture gives the resort the air of a bygone era. 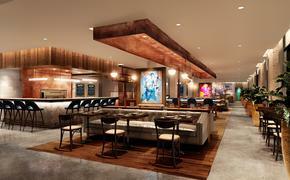 Known as Couples’ flagship property, visitors will find the best of the best from the moment they walk into the lobby. A range of accommodation is available at the property. Top of the line One-Bedroom Ocean Suites are luxe. Draped in shades of pastel that blend in well with the vintage-inspired décor of the property, these suites are located on the upper floors of the main building. Each offers a separate living room with a wet bar, a flat-screen television, a separate bedroom and breathtaking views of the Caribbean Sea. Ocean Junior suites also offer unobstructed views of the water and Tower Isle as well as a sitting area, flat-screen televisions, minibars and more. Other room options include the Premier Ocean, Deluxe Ocean, Superior Ocean and Deluxe Garden rooms. Need some tips on how to relax? Perhaps head first to the award-winning spa. Pure white treatment rooms surround the outdoor Buddha plunge pool and guests can relax in the deep cushioned chairs that line its perimeter with a drink from the juice bar. If you are looking to take the edge off , try the stress-relieving Bamboo Fusion Massage or rebalance your body with an aromatherapy treatment. Take relaxation to the next level with a full-body treatment like a body scrub and polish or the Seaweed Body Nourish Wrap. There are also a variety of couples’ therapies, including massages, body wraps, a body scrub and polish and a couples’ mani-pedi. Boredom is not likely to set in at Couples Tower Isle what with their four pools, three Jacuzzis, snorkeling tours – there are more than 30 nearby sites, scuba diving, sailing, kayaking and more. You can even take up a new hobby – kayaking and sailing lessons are available with the watersports staff. Or you can choose to learn to water ski, windsurf and try out knee boarding. Hydro bikes, pool volleyball and stand-up paddleboarding are also available. Getting off property is also an option with a variety of day tours and excursions to choose from. When it comes to dining, guests will be spoiled for choice. There are multiple options throughout the day, including all-day dining at the Patio Restaurant and Pool Grill and three options for dinner. Choose from continental fare at The Verandah, Asian fusion at Bayside and the flavors of Jamaica at Eight Rivers. For an especially romantic dining experience, there is private seaside dining available as well as in-room dining. Couples can also get their drink on at the resort’s numerous bars and nightlife venues. During the day, enjoy flag-service at the beach bar. Just prop up your flag in the sand and the staff will bring your drinks. Prefer to drink by the pool? The swim-up bar means that you don’t even have to leave the sparkling waters to refresh your beverage. Enjoy martini hour on the roof, drinks at the Piano Bar and DJ Smooch spinning late every night but Thursday in the Main Bar. And what about the one thing the property is best known for -- its au naturel private island? Get there by boat and you will find a swim up bar and, of course, the “bare” necessities. If you act fast, you can get to Couples Tower Isle in time for Camp Couples with rates that start at $175 per person, per night. For more information, visit Couples Resorts Tower Isle.